Galaxies are always changing. They merge together with other galaxies. They spawn new stars. Stars collapse and form black holes. All sorts of things going on all the time that can potentially lead to new regions opening up to exploration. And in those newly-found regions, you might encounter strange alien civilizations. What sort of new technology will they have? What sort of customs will you have to learn in order to interact with them? And are they hostile? 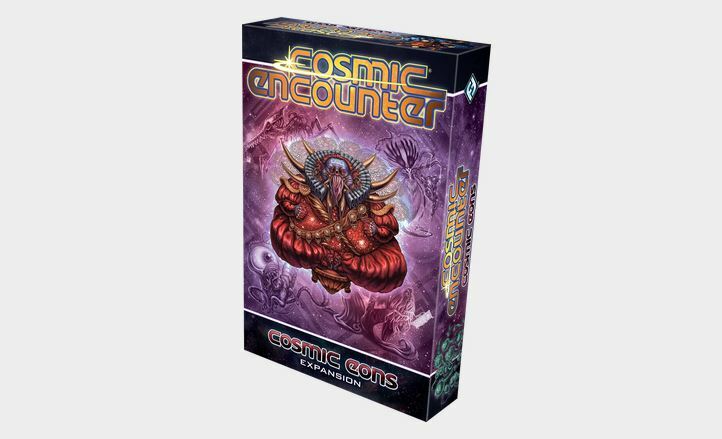 All those questions will be answered by playing the Cosmic Eons expansion for Cosmic Encounter, just announced by Fantasy Flight Games. 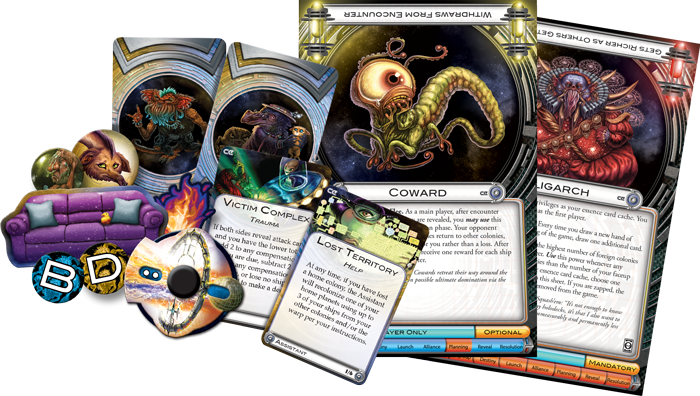 This new set adds in plenty of new alien races to meet up with in your travels across the galaxy. But while new aliens are cool, they don't fundamentally change how the game works. However, the new Hidden Alliances variant of the game will. This new way to play keeps your true intentions hidden from your opponents until everyone reveals their agenda at once. There's also a space-couch. I want a space-couch. Expect Cosmic Eons to hit store shelves sometime in the 4th quarter of this year.